Give yourself a banana and a round of applause for pulling off the best primate outfit in this Deluxe Gorilla Costume. What could be more fun than a furry neon pink coloured gorilla bodysuit? This deluxe version includes realistic latex gorilla face mask, hands, feet, chest and stomach. 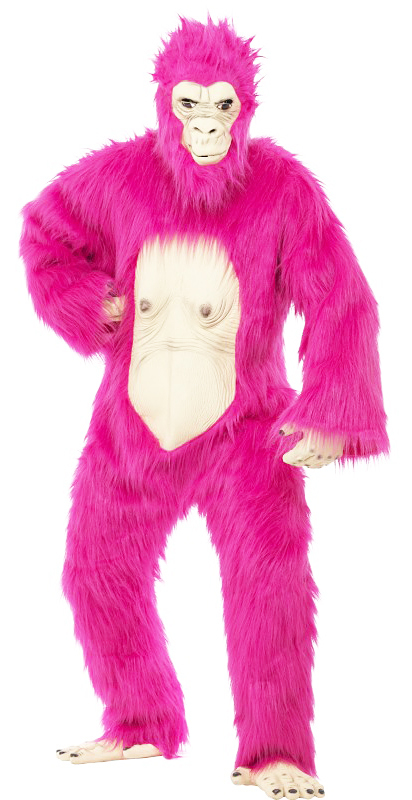 Be the blushing king kong at Halloween, stag nights, or animal themed fancy dress costume parties.